Plays over relics of the town's history. From M-41: Go south on N Teal Lake Rd 0.2 mile to a right on W Clark St. Take a left on Merry St. The 1st tee is near the intersection of Merry and Iron. 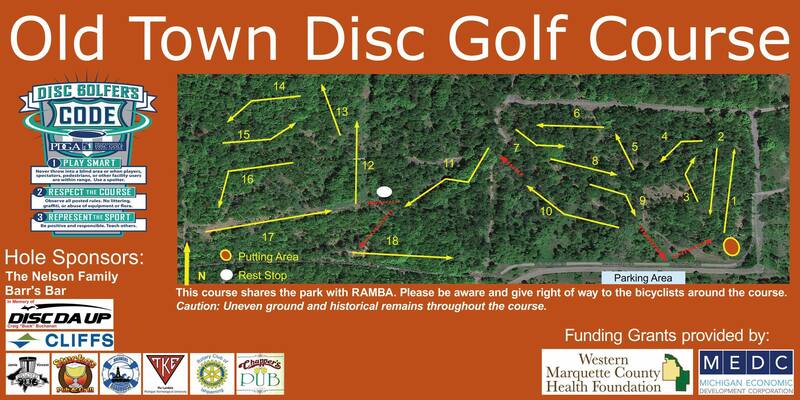 Have you played at Old Town Disc Golf Course? Be the first person to review this course!